Did you find a new tango dress in your Easter basket? 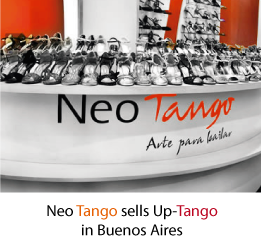 Very good, during the Easter holiday there are a lot of opportunities to enjoy tango clothing, go out and show your new dance dress: throughout Europe a lot of tango festivals, tango events and milongas take place which invite to dance tango even on Easter Sunday. In Basel the 14th International Tango Festival Easter Tango 2013 invites to spend a whole long weekend in the rhythm of Cruzadas and Salidas and try out new tango dresses. In Berlin the Ladies and Men’s Easter offers classes to improve your leading skills or get deeper into the tango feeling. So, if you already refined your skills, why not underline the outcome with elegant new tango dresses, a tango skirt or dance pants? If again the Easter Bunny only brought you chocolate eggs, visit the UP-Tango Online Shop! All kind of special offers on dance dresses, tango clothing, tango skirt, dance pants and tango tops for Easter holiday are waiting. Unforgettable dance dresses for an unforgettable price – UP-Tango Barcelona Fashion Design.